SNAP Cosmetic Simulation Software is designed to aid dental professionals in increasing case acceptance by providing patients with an “Instant Digital Makeover,” so that they can envision themselves once the recommended dental treatment has been completed. Users can generate a take-home photo that patients can continue to look at, with the goal of motivating them to ultimately schedule treatment. The Before photo is taken and the software simulates an After image that exhibits the results of cosmetic procedures including but not limited to teeth whitening, crowns, veneers, fillings, crown lengthening, diastema closure, bridges, and implants. The Before photo can be uploaded into the software program from existing files on your computer or via a USB connection cable or memory card transfer using almost any digital camera. The SNAP software is procedure-oriented and automatically guides the user through the simulation process with minimal training and effort. Following simulation, the Before/After photos can be shown side-by-side and can be printed for patients to take home. The printed photos can be customized with patient and office information and then acts as a marketing piece that increases word-of-mouth referrals because patients tend to share the photo with friends and family for opinions on accepting the recommended treatment. SNAP software archives the Before/After photos, which can also be used in a slide show format as a patient education tool or as an aid in case presentations so patients can visualize and compare various treatment options. SNAP is available in two versions: a single license, which activates the software on one workstation, and a network license for multiple workstations. SNAP Cosmetic Simulation Software was evaluated by 18 consultants in 292 uses. This imaging software received a 93% clinical rating. SNAP Cosmetic Simulation Software is easy to install, and 100% of consultants reported that anyone in the office could easily learn and use SNAP. For consultants who needed assistance with installation, technical support was very helpful. No formal training is required, and the software includes tutorials that guided the user through the simulation process. Once installed, an icon on the desktop launches the program, and the user chooses the procedure and follows the on-screen prompts. The software is easy to use and provides patients with an image of solutions such as whitening, diastema closure or full-arch veneers. After dentists and auxiliaries integrated it into the workflow of the office, they were enthusiastic about the system. The Before and After pictures were impressive to patients. The ability of SNAP to provide patients with a way to visualize results contributed to case acceptance for many consultants. According to them, the dollar value of the cases gained by utilizing SNAP within a case presentation ranged from $1,000 on the low end to the largest case scheduled being $30,000. Consultants noted that some cases were generated from patients that had not inquired about cosmetic treatment previously but were interested after seeing their SNAP simulated photo. Therefore, it is recommended that SNAP be used often and included in even regularly scheduled hygiene appointments to encourage more patients to consider the benefits of cosmetic treatments. Software updates and unlimited toll-free tech support are currently included with purchase. 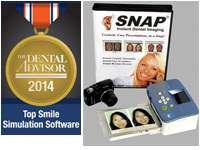 Eighty-three percent of clinical consultants would recommend SNAP Cosmetic Simulation Software. SNAP is a Windows-based program but can run on a MAC with Parallels (or similar) software. The manufacturer recommends a “point-and-shoot” camera such as Canon Powershot SX130is and a dye-sublimation photo printer such as Canon Selphy CP800. Use the system at least 10 times to gain proficiency. At that point most simulations can be completed in five minutes or less from the taking of the photo to the printed image. The actual simulations can be done in 30 to 60 seconds. Take the portrait photo straight on with a big, toothy smile. Consider having a photo taken as the patient checks in at the front desk to streamline the process. 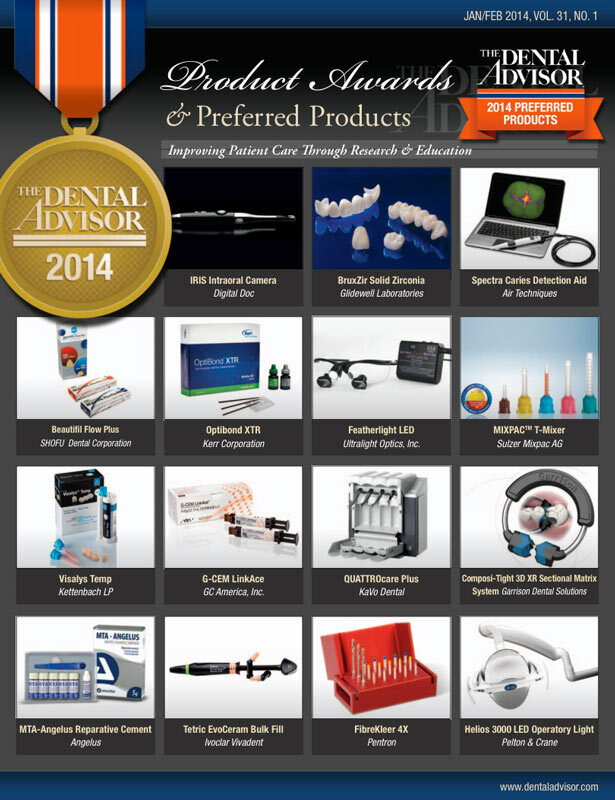 Train the dental assistants and hygienists to use the software. Provide a disclaimer to the patient that actual results may differ from the simulation. This is also a default option on the printed photo. If clinical time is limited, take a photo during the appointment and later e-mail the simulation image to the patient.